Millions of families are filling out applications, visiting colleges, and getting both excited and anxious about sending Junior off to college this fall. 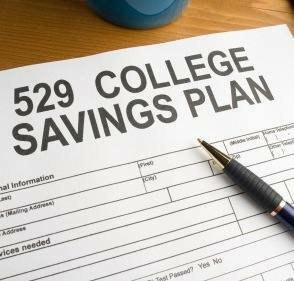 Many of those same families are relying in part on money they’ve dutifully contributed to college 529 plans – among the most broadly recommended college preparation strategies going. After all, what could be better than tax-deferred growth, and tax-free access? Heck, many states even offer a state income tax credit for 529 deposits. But remember, my favorite fortune cookie says, “Conventional wisdom is often neither” (let that one soak in a minute). Unfortunately, this is true for the 529 plan, too. If Junior decides not to go to college (or drops out before you’ve used all the money), and you can’t change the beneficiary to another college-bound child – you’ll pay taxes and a penalty to get your money out. If you received state income tax credits for your deposits, you’ll probably have to pay them back. Ouch! The money in 529 plans is exposed to market risk – meaning if financial markets move against you, tough luck. Because you’ll need the money precisely when Junior is in college, you don’t have the luxury of waiting out an uncooperative market. If the market turns at the wrong time, you may be forced to lock in losses, which not only leaves you with less money, but makes a 529 Plan a matter of chronological luck rather than a real plan. 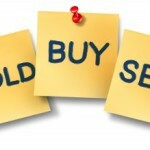 Investment options are extremely limited, and you are only able to adjust your investments once or twice a year. 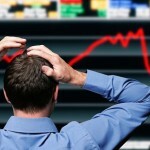 So if you’ve lost 10% over the last few weeks like most of us, your out-of-luck until your next adjustment window opens. Balances are not insured. There is no FDIC or other kind of insurance on your account. 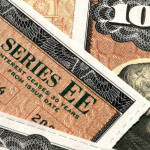 They’re speculative, risk-oriented investment accounts disguised with a friendly-sounding name. They create a FAFSA penalty. When you apply for financial aid, your ‘need’ is modified downward by the amount you have socked away in 529 plans, meaning you’ll automatically qualify for less ‘need-based’ money. Not fair – but that’s how it works. Mathematically, those FAFSA penalties are likely to more than wipe out any tax credits you may have received along the way. Easy come, easy go. That FAFSA penalty will prove particularly infuriating if you’ve built 529 plans for multiple kids because FAFSA requires you to add the balance of all 529 plans together when calculating your Expected Family Contribution – even if the other kids are years from going to college. If you’ve already funded them, hold on and hope it all works out. 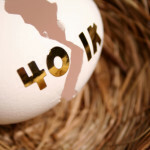 But if you are still making contributions, or if you haven’t started one yet, consider a better alternative. 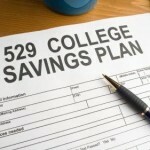 We are advocates of a plan that is also funded with after-tax dollars, and like the 529 plan, is accessible tax-free. It doesn’t generate a state tax credit, but it also eliminates any FAFSA penalty, and those tend to cancel each other out. Where our plans really shine is that they are not exposed to market risk, and they can be used for any purpose – college, starting a business, travelling the world, or starting a killer long-term tax-free retirement account. Be sure to look all your options before being lured by the shiny objects dangling from 529 plans.